Good morning everyone, and happy Friday. We don’t have a ton of Army Football news this week, but hopefully we have enough notes and nonsense to at least keep you entertained for a little while. And if not, well, at least it’s Friday. We noted last week that Army had added a couple coaches to the staff. The team has been announcing those hires on Twitter over the past week or so. "We believe in perfection and accountability." Is it just me, or does new D-Line Coach Kevin Lewis look like he could suit up and knock the snot out of somebody at a moment’s notice? Of all the new hires, I think Coach Matt Drinkall, previously of Kansas Wesleyan University, has been my favorite. Not because of his work. To be clear, I have no idea what Drinkall is actually doing. He comes to West Point with an impressive resume and an independently formed offensive philosophy, and that stuff is great. However, I have no idea what Coach Monken has him doing day-to-day, nor have I made an effort to find out. However. Coach Drinkall is clearly enamored with West Point. To the point that he’s become my new favorite Academy Twitter-evangelist over the past couple of weeks. President Thomas Jefferson wanted to establish the United States Military Academy & Congress approved. On July 4th, 1802, West Point commenced operations. Army West Point Football has some of the coolest & most unique uniforms in all of sports thanks to their partnership with @Nike. So sure. Maybe he’s just trying to market USMA to football recruits via social media. I choose to believe, however, that he’s more like a blind man who only just saw the sun for the very first time. I hear you, Coach. Just wait until you get to Army-Navy. While we’re talking about Drinkall, my friend David passed along an article about his offensive philosophy. It’s well worth a read. 1. 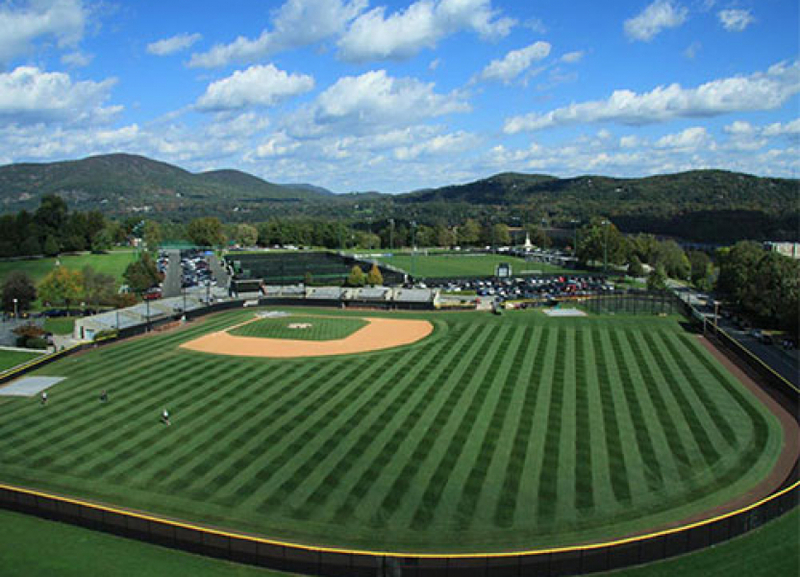 Which team won the Patriot League Championship in Baseball last year? 2. GEN Douglas MacArthur played for which Corps Squad team? If you didn’t answer Army Baseball to both questions, get down and push. The Black Knights last season beat archrival Navy in the Patriot League championship series to advance to regionals for the first time since 2013. Army then upset host North Carolina State in the opening game of the Raleigh Regional, marking its fourth ever NCAA Tournament victory. The Black Knights last season were a little ahead of schedule, reaching those heights in coach Jim Foster’s second season at the program’s helm and improving by 12 wins in the process. Army must replace catcher Jon Rosoff, its leading hitter, and starter Matt Ball, but otherwise the bulk of last year’s team is back and will be expected to repeat as champions. Army plays an occasionally maddening version of collegiate small-ball. If you’re used to watching MLB, this is definitely not that–at all. The Black Knights specialize in getting guys on base and then scoring base-runners via bunts, sac-flies, and the occasional single or double. It’s basically the opposite of what you see from, say, the Yankees. But Army is very good. They have great pitching, reasonably reliable hitting, and a ton of speed on the base paths. They head into the season ranked first in the conference, having put six guys on the preseason All-Patriot League team. They have an excellent shot at repeating as champions. 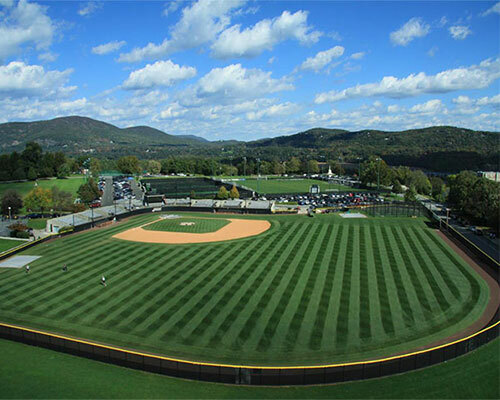 As with Lacrosse, most of Army Baseball’s games are broadcast via the Patriot League network on Stadium. The early season features a bunch of away games down south. For example, the Black Knights start with a three-game swing through Baton Rouge against Air Force on February 15th, LSU on the 16th, and UL-Monroe on the 17th. Then they’re in Virginia, North Carolina, and Houston, Texas before they begin their first home stand. The only Army-Navy game at USMA this year is March 24th. The back half of the Star Series is then on April 20th and 21st down at Annapolis. 247 Sports had Army ranked 96th nationally with *fourteen* 3-star football recruits. That is at least three times the average number of 3-stars from the past several years, even under Coach Monken. Last year, this same website had Army ranked 117th. But I’m not sure what 247’s count is worth. The site has just twenty-nine recruits listed out of maybe ninety total from the list maintained by Army beat writer Sal Interdonato. By comparison, 247 has Air Force ranked 103rd with thirteen 3-stars while Navy sits at 124th with eight 3-stars. Rivals, meanwhile, has Army ranked 78th overall with just four 3-star recruits but eighty-three recruits total. That’s a lot closer to what we’ve seen under Coach Monken, though it remains a very good haul. By comparison, Rivals has Navy sitting 84th with three 3-stars and 70 total recruits and Air Force at 98th with four 3-stars but just 42 recruits total. It’s probably worth noting that Rivals systematically underestimates the Zoomies’ class every year for some reason. For what it’s worth, my sense from Twitter is that Army and Air Force have both had pretty good years, but that Navy is struggling. That’s anecdotal, and Navy beat writer Bill Wagner told a very different story yesterday, but that is still what I think I’ve seen. But. My only real take-away right now is the obvious: Army has caught up to and maybe surpassed the other academies in recruiting. That has come via the team’s on-field success, a ton of coaching hustle, and the Academy’s #1 national ranking among all public schools. However, there remains a HUGE distance between “Blessed to have received an offer from Army West Point” and actual on-field impact. For one thing, most of these kids are headed to the Prep School. They have to finish and graduate USMAPS, get through Beast, keep their grades, and then earn a spot on the travel roster. That is a lot! Oh by the way, West Point’s academics will be unlike anything these kids have ever seen. I had like 10 minutes so threw this together. Major shoutout out to Army recruiting. Top 100 in the nation and best of the service academies. Also a grey group of people and amazing to work with! This season’s recruits are starting a journey, and that’s great. For fans right now, however, it’s much more important to think critically about who’s already on the team, who’s looking to get their first real shot in the coming season, and who’s gonna make the most of their opportunity. The current plebe class has some real players. We should spend more time talking more about what they’re going to do as yearlings than speculating about a bunch of cadet candidates who’ve yet to raise their right hands or even earn the title New Cadet. Players are transferring more freely than ever before and have been given more freedom to do so. The NCAA has even begun to show a bit more leniency about immediate eligibility for these transfers, and all of this is a good thing because the players deserve to have these options. Hicks has been the starter for the last three seasons at SMU. The first two of those seasons came with Chad Morris as his coach. During his time at SMU, Hicks threw for 9,081 yards, 71 touchdowns and 34 interceptions while completing 56.7 percent of his passes. Those are not eye-popping numbers, but compare them to Arkansas’ passing numbers in 2018 and you can see where the upgrade appears. The AAF will aim to finish games in two-and-a-half hours, down about 30 minutes from the NFL’s slotted window. Practically everything the league does in the rulebook is based on this principle, including a 35-second play-clock, just like the XFL had. According to Ebersol, this speeds up the pace of play without rushing players to the line and failing to properly get the play off, leading to incompletions, increased snaps or penalties due to fatigue. And kickoffs? Gone for player safety purposes, but also in response to what the league has determined to be the least interesting play in the game according to fans. Instead, each team will start on the 25-yard line. Onside kick attempts are substituted by offenses beginning on their 35-yard line and playing one “fourth-and-10” down. If the offense converts, it keeps the ball. Let’s talk about this next week. Well deserved. I mean, I think the Bulls underperformed a few times last year based on their talent level, but there’s no denying the job that Coach Leipold has done rebuilding that program. I really hope they get over the hump and win a MAC title soon. That’s all, folks! Enjoy the weekend.